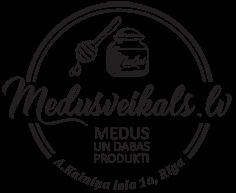 How to order products at WWW.MEDUSVEIKALS.LV? 1) On our website – the easiest, fastest and most secure method of ordering. The product will be delivered within 1-3 business days, depending on your chosen delivery and payment methods. 2) By e-mailing us – please send your order to our e-mail address: info@medusveikals.lv and our customer service specialist will process your order. 3) By calling us – please call us: +371 67220001 and we will help with your order. 1) Cash payment – you may pay with cash when collecting the product in our shop Alfreda Kalnina street 1a Riga. * All prices in the shop are specified in euro an include VAT (12% and 21%). Step by step instructions on how to place an order on our website. You don’t have to register to make a purchase at www.MEDUSVEIKALS.lv, however, registered users have various advantages, for example, you don’t have to re-enter your data for future purchases; You will be informed about the latest offers and special discounts for loyal customers at www.MEDUSVEIKALS.lv; You can see your order history and other useful features, making your shopping even more convenient! * If you want to purchase multiple items, you can change the number of items, and then press “Continue ordering”. If you need additional data, for example, for leasing, please fill in all required fields. When you are done, press “Continue ordering”. * To see whether your contact information is correct. * You will soon be contacted by our customer service specialist in order to specify your order details.